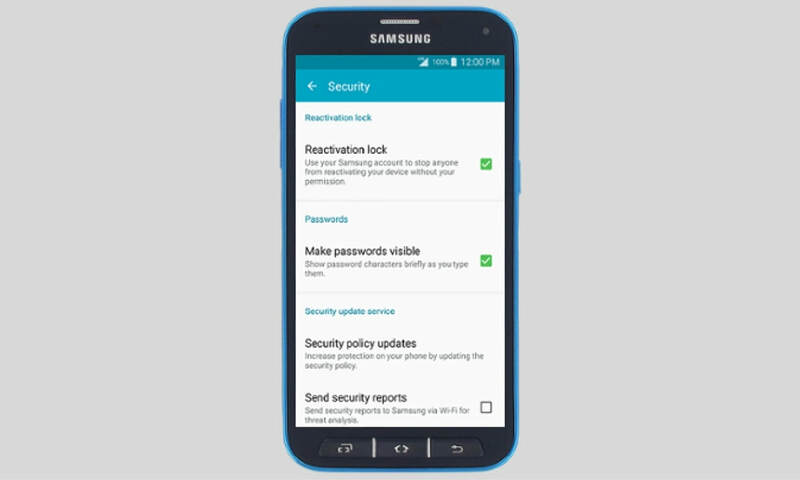 As all of us know, with the release of Android five.0 Lollipop Google brought a brand new safety characteristic referred to as manufacturing unit Reset safety that's aimed toward defensive users private records if if your tool is out of place, stolen or lost. but at the identical time, a number Frp Bypass Apk of Android customers have got into trouble with it and locked out of their devices. Becuase, they've forgotten their Samsung or Google account credentials after hard reset their device. ​considering the fact that then, many FRP skip strategies were launched, and we’ve protected all of them mainly for Samsung gadgets. 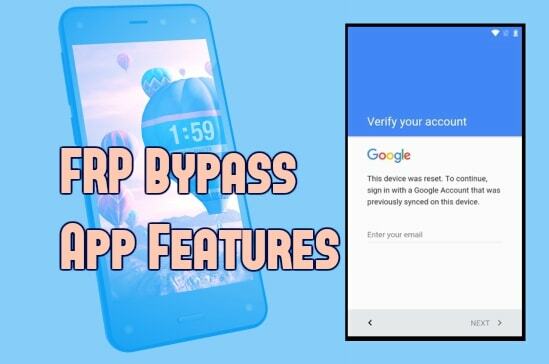 All of our bypass methods are based on the FRP skip APK record that helps you to get into cellphone Settings and Wipe and Erase your phone facts including the Google or Samsung account. if you’re here analyzing this post, probable you’re locked out of your tool and searching forward to bypassing FRP the usage of the apk file supplied through an anonymous Android developer. it's far indeed one of the pleasant FRP pass apps which have helped lots of users to unencumber their devices together with Samsung, LG, Google Pixel, Motorola, and Sony. Here is the download link for FRP bypass app. Follow the stairs to bypass Google account verification after tough resetting your Samsung Galaxy device. Samsung and Google are actually severe about your security and privateness, they're now taking the right measures to guard your private data. most of us are happy with the safety however at the same time, you’ll get irritated while you’re locked out of your device and unable to get get right of entry to to it because of FRP lock. With the discharge of Android five.zero Lollipop, Google delivered manufacturing facility Reset safety to protect your device and private facts. So for instance, in case you lost your tool or a person wipes information manufacturing facility reset it with out your permissions and you’ve enabled factory reset safety then Google will ask for account credentials that were used to set up i.e Your Google account and password or Samsung account. Samsung’s vintage devices along with the Galaxy S3, S4, notice 3 and so forth had been now not having this feature but the newly launched gadgets including Galaxy J5, J7, Galaxy C5, Galaxy be aware 5, S6 facet, S7 aspect, Galaxy S8, and S8 Plus are having it and in case you difficult reset your phone the use of healing, you’re positive to get your cellphone locked unless you offer the right Google account verification, it had before. In maximum cases, users overlook their e-mail or password and are caught on the Google verification display screen. however you don’t to have worry as i've got you protected. thanks to the anonymous developer who has launched an APK app that allow you to to bypass the Google account verification step after which erase the whole lot to get get entry to again in your normal Samsung Galaxy tool. Step 1: First of all, download Samsung frp settings.apk using the download link given above. Step 2: Copy the apk file to your USB. Step 3: Using the OTG cable connect your USB to phone. Step 4: Once connected, it will popup the file manager app and install the apk app. Step 5: You should now have access to phone settings. Step 6: Scroll down and find Backup and reset. Hi there, pals! this newsletter is on FRP pass APK download Samsung for Android. we are going to speak about the process to get this app in your Samsung Android devices in order that it could be used to skip the safety restrictions that you can face after a manufacturing facility reset for your tool. FRP pass is really the simplest and first-class app to use when your tool undergoes FRP Lock. you can effortlessly skip the Google Verification on reboot with the help of this app. read approximately the app from this article to understand extra about the same. The term FRP stands for manufacturing facility Reset protection, which is a feature on maximum of the Android gadgets that permit the customers to get admission to their device for use after a manufacturing unit reset. We recognize that there is a Google account that we should sync before the use of the tool. nicely, this FRP works when it comes to the account credentials and allows get entry to to the consumer’s facts when the same account information are logged in after the reset. ​With FRP skip App, users can assist the users get beyond the security regulations of the identical. This app is very helpful for users who forget their access account details after the factory reset. so one can setup the application, you'll ought to download its APK file from the outside resources. study about this in the next segment. For any sort of APK report installation, you need to first setup your device settings to allow the system to take region. For this, you need to go into the “safety/programs” menu below the tool settings. Then, choose the “Unknown assets” tab there and allow it. After the setup, you will should get entry to this hyperlink and reach the portal for FRP pass APK down load. you will see documents over there, the SideSyn for computer and the FRP bypass APK for Samsung Android gadgets. download each the documents after which switch the .exe record to the laptop for later use. After the FRP pass APK down load in your Android device, you'll need to set up it there. permit the installation to take location through choosing an appropriate option. once the installation is finished, you'll be capable of get admission to the app immediately. To setup the documents, you'll see the commands and use process inside the SideSync software for your pc. The utility device is loose to be used, get entry to, and percentage. The customers can use the utility to skip the safety characteristic after device reset. If the user has forgotten the Google account password then he/she will use this app to resolve the usage of the device after reset. So, now you see that this app is a very critical and useful device. 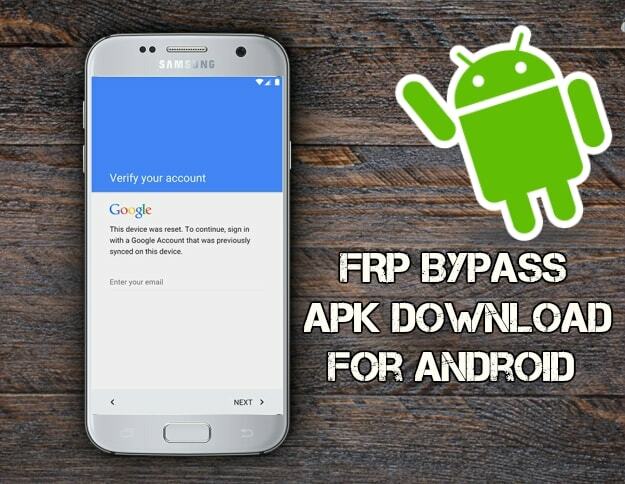 hence, use this manual on FRP bypass APK down load Samsung for Android here to get it effortlessly. If there is any question, touch us at apkoftheday. thank you.